WI Realtors Foundation also used a strategy we love; give to get! A $7 donation feeds a child for a week. If a donor dipped twice, they received a “double dipper” sticker. 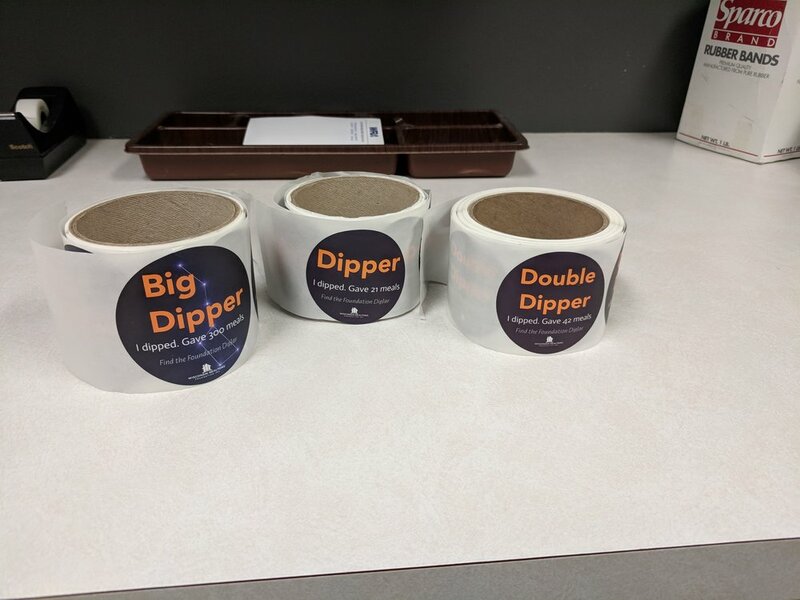 If a donor dipped in the $100 DipJar, they received the “big dipper” sticker. Stickers are a low-cost, yet effective way to incentivize bigger donations. This, coupled with the instant feedback on the screen, kept the donations rolling in throughout the event! Want to use DipCast for your nonprofit? DipCast is now available for purchase! Click below to speak with one of our fundraising experts who will help you get started.